Expressions Arabia is an ideal choice for those who are hesitant in official environment due to non fluent spoken English. This institute mainly focuses on formal communication manner that is used in corporate and business sectors. They will teach you how to verbally and through writing, communicate with your boss, and customers along with fellow colleagues. After spending few days at Expressions Arabia you will figure out how vast difference is present between a formal and casual English language. If you wish to have perfection in your spoken and written English then Expressions Arabia should be considered as one of your choices. 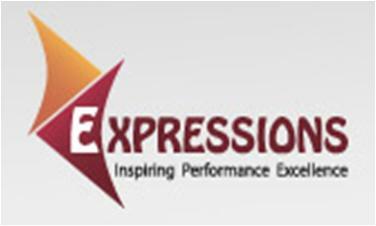 Expressions Arabia arranges various workshops in which significance of languages and their importance is discussed. Besides speaking, students are also taught how to communicate with people in a formal manner, for instance in an office. Official writing techniques are also taught in English, i.e. email and letter writing etc. From Saturday till Thursday, between 9:00 amd and 7:00 pm Expressions Arabia schedules classes and opens its office for admission and guidance. 750 meters away from Expressions Arabia the Sharaf DG Metro Station 1 is located; you will have to walk for about 9 minutes to cover the extent of distance between two locations. From the station, head in the southwest direction and keep on walking until you reach at your destination. For a detail view of the map, click on this link. Al Barsha, Habtoor House 1 is the closest bus stop, Route number 93 from The Greens Terminus and F33 from Mall Of Emirates Metro Station 4 and Al Barsha, Vetirinary Clinic 1 makes a stop at this station. 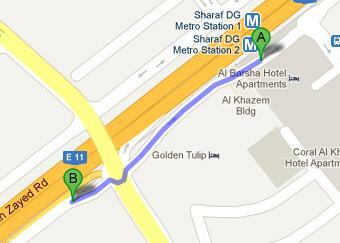 From the stop you will have to head in the northwest direction and then take the first exit from the first roundabout. For the pedestrian’s path view this map. Total about 11 minutes are rerequired to cover the total 900 meters' distance.